Arrival Pick up from Jammu Railway Station and move to Srinagar (300 Kms). For Arrival at Srinagar, pick up from Srinagar Airport. Check into the Houseboat. Rest of the day at leisure. Overnight stay at Srinagar. Srinagar After breakfast, local sightseeing at Srinagar like Mughal Gardens, Tulip Garden, Shankaracharya Temple, Shahi Chasma etc. 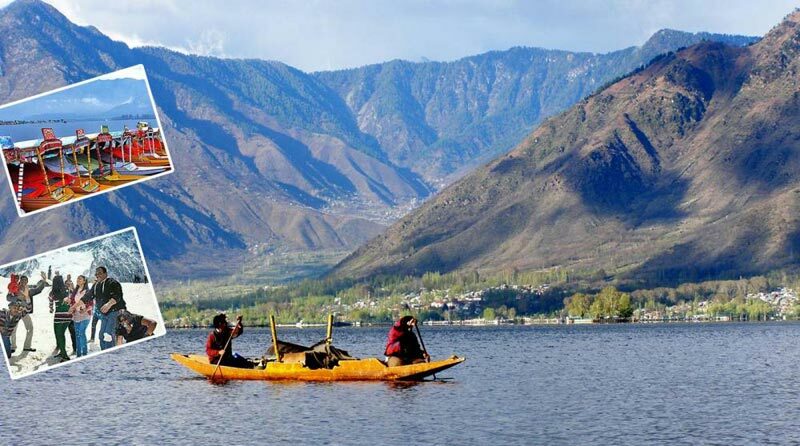 In the evening, enjoy Shikara Ride at famous Dal Lake. Have evening walk through Boulevard Road on the banks of Dal Lake. Overnight stay at Srinagar. Sonamarg After breakfast, visit Sonamarg which is situated at a distance of 85 kms from Srinagar on the Srinagar-Ladakh Road. The road passes through the picturesque town of Ganderbal (21 kms) & Kangan (40 kms) before reaching the Sonamarg. Situated at an altitude of 2730 m, Sonamarg, which means ‘ meadow of gold ‘ has, as its backdrop, snowy mountains against a cerulean sky. The Sindh River that flows through the valley abounds with trout. Enjoy Pony ride while going to Thajiwas Glacier. In the evening, back to Srinagar. Overnight stay at Srinagar. Gulmarg After breakfast, visit the famous hill resort of Gulmarg (55 Kms from Srinagar). Gulmarg is known for its scenic beauty, meadows, Gandola (Cable Car) etc. It is also famous for winter sports. Visit Tangmarg on the way to Gulmarg. Spend the day at Gulmarg. In the evening, back to Srinagar. Overnight stay at Srinagar. Pahalgam After breakfast, move to the most famous hill station of Kashmir i.e; Pahalgam (95 Kms from Srinagar). Pahalgam is rich in scenic beauty, adventure tourism and its breathtaking views. It is also famous for river Lidder, vast meadows and its climate. Pahalgam has also attracted Bollywood for shooting films. 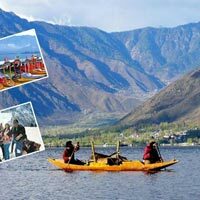 Enjoy local sightseeing at Pahalgam. Overnight stay at Pahalgam.